The Barrie Construction Association ‘s Past President, Scott Ward came up with an idea early in 2009 for the construction industry and community to come together and raise awareness of the Canadian Cancer Society. Each year since, the BCA hosts an annual Ride for Cancer. A motorcycle ride organized by the generous members of the BCA to raise funds for the local chapter of the Cancer Society – enabling them to continue providing information on cancer, risk reduction and treatment; funding cancer research in all types; and offering support for people living with cancer and their families and friends. Each year the ride begins at The Sarjeant Company with riders registering and receiving the official ride shirt, then the group enjoys a unique, scenic route through some of Ontario’s most beautiful areas and we end with a festive barbecue and raffle. 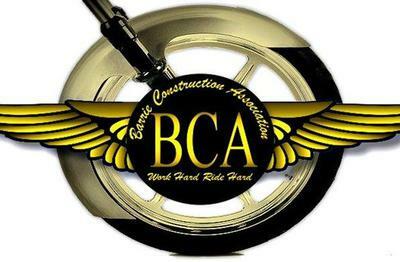 The BCA would like to express a heart-felt thank you to all of our sponsors, participants and volunteers. Thanks to the hard work of our committee, all of our generous sponsors and all the ride supporters the BCA Ride for Cancer, we have been able to raise over $29 000.00 for the Canadian Cancer Society to aid them in their continuous efforts in making Cancer history.